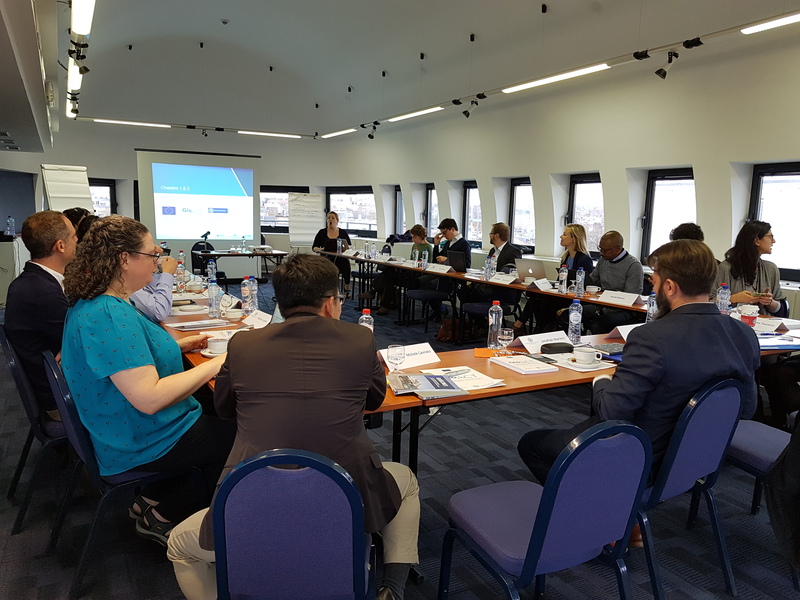 Brussels – IOM, the UN Migration Agency this week (23-24/11) organized a meeting in the context of the Global Action against Trafficking and Persons and the Smuggling of Migrants (GLO.ACT) in Brussels. The meeting was attended by a group of experts composed of representatives from UN Agencies, global experts in their field, and survivor representatives, to provide inputs to the development of the Handbook on Protection and Assistance to Migrants in Vulnerable Situations. In light of recent global trends and the need to protect and assist migrants in vulnerable situations, IOM is currently developing the Handbook, which will articulate a comprehensive framework for analyzing migrant vulnerability and identifying migrants in vulnerable situations in need of immediate protection and assistance. Following a first meeting in Casablanca in March 2017 and a drafting and review phase, a two-day workshop was held to review the progress being made. The meeting was opened by Agata Sobiech, Policy Officer, European Commission's Directorate-General for International Cooperation and Development, who underlined the importance of the project and the Handbookin strengthening protection mechanisms for migrants in vulnerable situations. Fruitful discussions took place between the participants, who expressed their hope that the Handbook would contribute to improvements in protection and assistance to migrants in vulnerable situations. Several sessions were dedicated to discussions on protection and assistance for migrant children, which was particularly welcomed by the group of experts. IOM aims to release the Handbookduring the first quarter of 2018. The GLO.ACT is a four-year (2015-2019) joint initiative funded by the European Union and the United Nations Office on Drugs and Crime (UNODC) and implemented by IOM in partnership with the United Nations Children’s Fund (UNICEF). It is designed to assist 13 strategically selected countries to develop and implement comprehensive national counter-trafficking and smuggling responses and strengthen their capacity to efficiently address these challenges and inter-linkages.